Presenting a once in a lifetime opportunity, this residence is positioned on the ninth level, considered to be a sub-penthouse and is highest of its layout in the building. Stunning polished marble throughout, newly painted and in immaculate condition, Residence 17E will be sold. This prestigious apartment enjoys a north-east aspect with majestic 180 degree river views to the Story Bridge and Mowbray Reach of the river, that cannot be built out. Adorned with beautiful polished marble tiles and coffered ceilings finished with modern touches, the open plan living areas comprise of full length glass panes bringing the outside panoramas in. The living and dining adjoin a stylish gourmet kitchen. Finished with a suite of Miele stainless steel appliances, stone benchtops and two toned timber cabinetry, this culinary haven effortlessly flows to an entertainer's balcony. A peaceful escape from the busy city below, you will be able to indulge in the river atmosphere, without sacrificing on privacy. Positioned close by is a media room with balcony access, which is a great second living area or tv room, having the ability to be closed off with sliding doors. Accommodating three generously sized bedrooms, the master bedroom includes a lavish ensuite fitted with pristine marble tiles and granite benches, as well as and custom-built walk-in robe. This outstanding apartment also includes an executive appointed home office, media room, powder room and a main bathroom. A three vehicle, side-by-side lock-up garage and rare storage room are also included with this apartment. Residents at Castlebar will enjoy the exclusive state-of-the-art resort style facilities including a heated swimming pool, gym, spa, two plunge pools plus dry and steam saunas. The barbeque pavilion with ample dining areas, manicured lawns and landscaped gardens complement the property's 74m metre river frontage. Castlebar Cove's elegant five star foyer showcases the epitome of luxury with crystal chandeliers, grand piano, tranquil water features, board room with AV facilities and full glass panel windows perfectly framing the river views. There is also a secure 18 vehicle guest car park available, servicing the boutique 38 residents in the building. 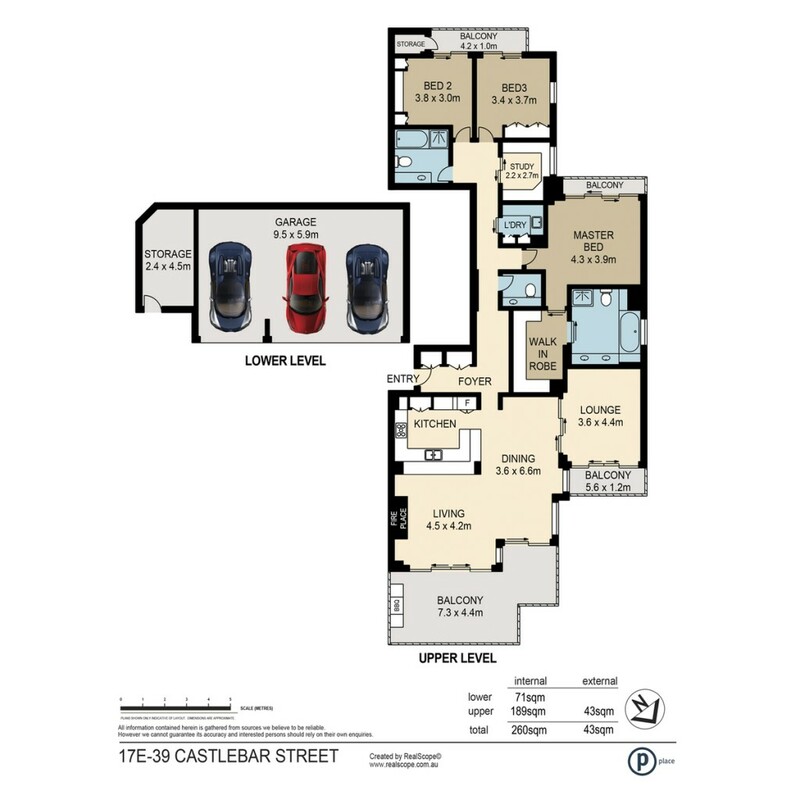 Relish the exclusivity of Castlebar, just minutes from the CBD and an array of world renowned entertaining and dining destinations across Brisbane. This prestigious purchase opportunity offers an enviable lifestyle - arrange an inspection today.